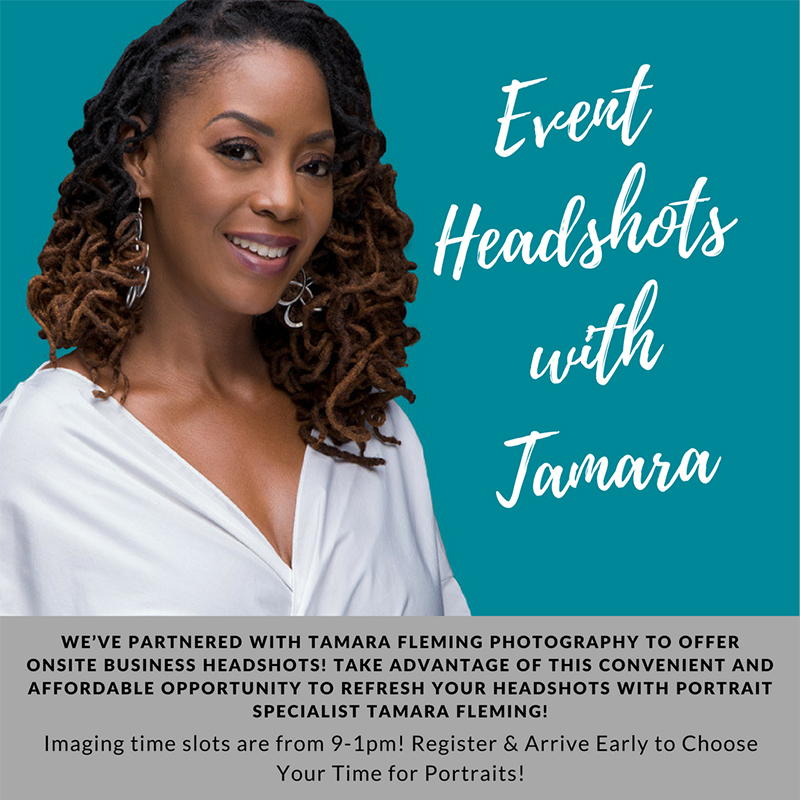 We've partnered with Tamara Fleming Photography to offer you on-site business headshots! Take advantage of this convenient and affordable opportunity to refresh your headshots with portrait specialist Tamara Fleming! As women, we're focused on growing our career and tackling the next big challenge in our lives. Although we know it's needed now more than ever, many times, taking time to update our portraits falls last on the list. In this fast-paced world where the first thing people do is Google you to see who you are and what you do, they also want to know what you look like. True and simple, people are drawn to making connections by looking for things you have in common and your image can be the gateway to usher in a relationship that is authentic and real. At the event, you'll have the opportunity to have your business portrait taken! Choose a package option that works for you. On the day of the event, at the registration desk, choose the time slot you want. On-site portraits are available from 9-1pm on the day of the event. Time slots selections are first come, first serve! A few days before the event, you'll receive a notice from Tamara Fleming with details on how to prepare for your portrait session and how to maximize your time together. Within two weeks following the event, you'll receive your final edited images!